An analysis of data from the EMPA-REG OUTCOME trial in patients with type 2 diabetes mellitus found that empagliflozin is associated with a reduced risk of re-hospitalization, cardiovascular death, and all-cause death in patients with heart failure, compared to placebo. The research, which was presented at the American College of Cardiology (ACC) 2019 Annual Scientific Session in New Orleans, LA, focused on a subset of patients within the EMPA-REG OUTCOME trial—those who were hospitalized at least once for heart failure (HF). Investigators assessed the percentage of these patients who experienced re-admission (heart failure re-hospitalization, HFRH), cardiovascular death, or all-cause death. The authors noted that people admitted to a hospital for heart failure are at high risk for re-hospitalization, and that in the US, reducing early readmittance may improve reimbursement. “The aim of this analysis was to investigate the effects of empagliflozin on short-term outcomes after an initial HF hospitalization in type 2 diabetes mellitus patients,” investigators wrote. Of the 7064 participants in the full study, this analysis included 221 participants who were hospitalized for HF, of which 126 received empagliflozin and 95 received placebo. Rates of heart failure re-hospitalization, HFRH and cardiovascular death, and HFRH and all-cause death were determined for 30, 45, 60, and 90 days from the admission date of initial HF hospitalization. Rates of HFRH within 30 days of initial admission were similar between those receiving empagliflozin and placebo. However, the percentage of patients re-hospitalized were close to double for placebo versus empagliflozin at 45 (8.4% vs 4.8%), 60 (9.5% vs 5.6%), and 90 (12.6% vs 7.1%) days. The rates of HFRH or cardiovascular death were also double or nearly double for patient receiving placebo compared to those receiving empagliflozin at all time points: 30 (11.6% vs 6.3%), 45 (16.8% vs 7.9%), 60 (17.9% vs 8.7%), and 90 (22.1 vs 11.1%) days. Similarly, for HFRH or all-cause death, rates for the placebo arm were double or nearly double that of the empagliflozin arm at days 30 (12.6% vs 6.3%), 45 (17.9% vs 8.7%), 60 (18.9% vs 9.5%), and 90 (23.2% vs 12.7%). In an interview with MD Magazine®, Gregg C. Fonarow, director of the Ahmanson-UCLA Cardiomyopathy Center and co-chair of the UCLA Preventative Cardiology Program, praised the development of impressive and dimensional therapies for HF and diabetes. But he also cautioned that applying them into real practice is going to be an initial challenge. 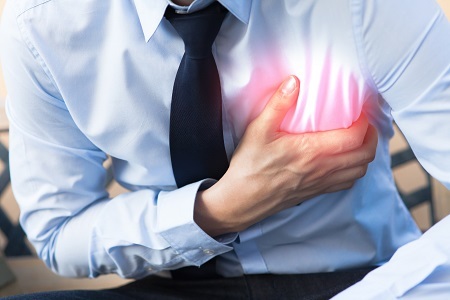 The study, “Empagliflozin Is Associated With a Lower Risk of Post-Acute Heart Failure Re-Hospitalization and Mortality: Insights From the EMPA-REG Outcome Trial,” was presented at ACC 2019.